We all know that fish oil and omega-3 fatty acids are good for us. But what are the differences between all the different products you see on the shelves? Should you eat fish or take a supplement? What's the difference between omega-3 and omega-6, between fish oil and krill oi... read full description below. We all know that fish oil and omega-3 fatty acids are good for us. But what are the differences between all the different products you see on the shelves? Should you eat fish or take a supplement? What's the difference between omega-3 and omega-6, between fish oil and krill oil, between DHA and EPA? For most people, what fish oil is, where it comes from, what all the different products are and how it can help their health is pretty much a mystery. Many of us take an omega-3 supplement every day, or try to eat more fish in our diet, but is it really good for our health? And is it safe? There is a time and a cost involved when deciding whether to take a health supplement every day. Solid facts are needed to make such a decision and this book provides them in an easily digestible (no pun!) format. It would be easier if you could get this information from watching the news or reading the newspaper. 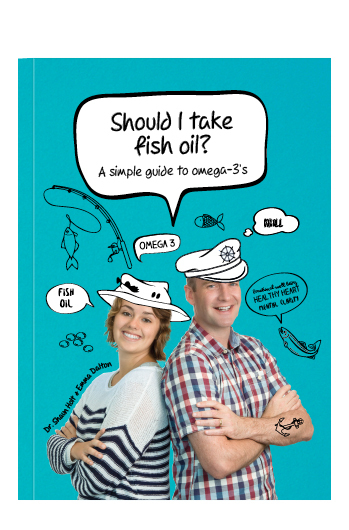 Unfortunately, the media cannot be relied upon to give you good information and particularly in the last few years they have published a number of very negative and very unfair stories on fish oil. Dr. Shaun Holt and Emma Dalton have spent many hours going through hundreds of scientific papers, to bring you an easy to read guide with the latest information on this confusing, but very important supplement. 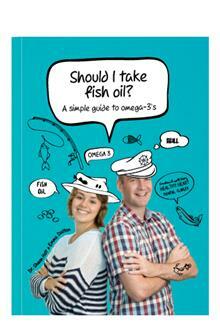 After reading this book you will probably know more about omega-3 fatty acids than your doctor!